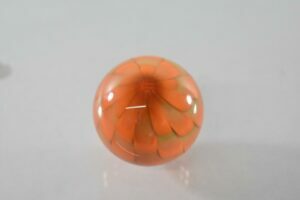 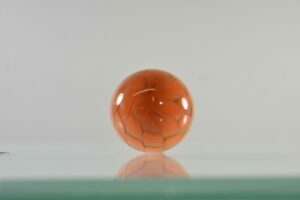 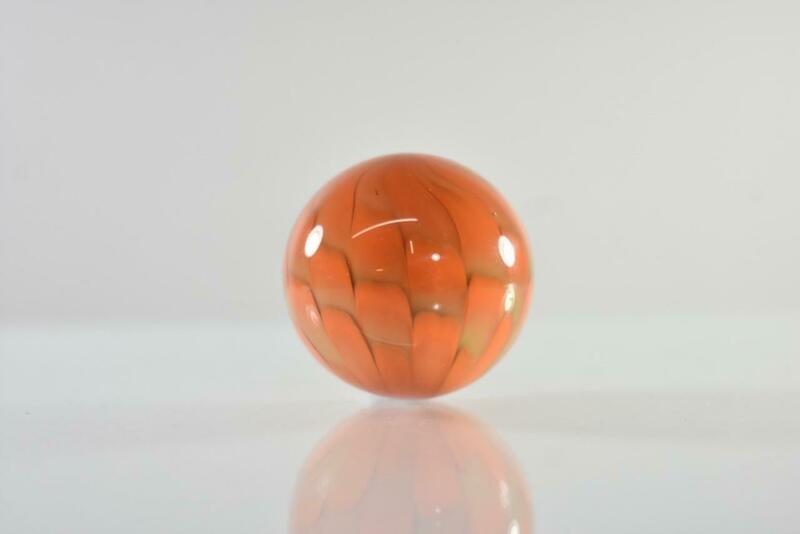 Art glass orange swirl marble by artist Rice. 1 3/4″ in diameter. 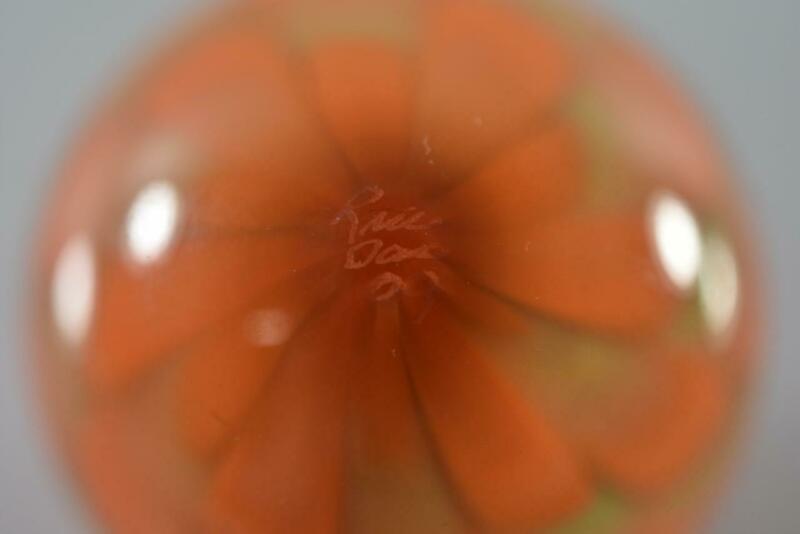 Very nice condition with slight wear.